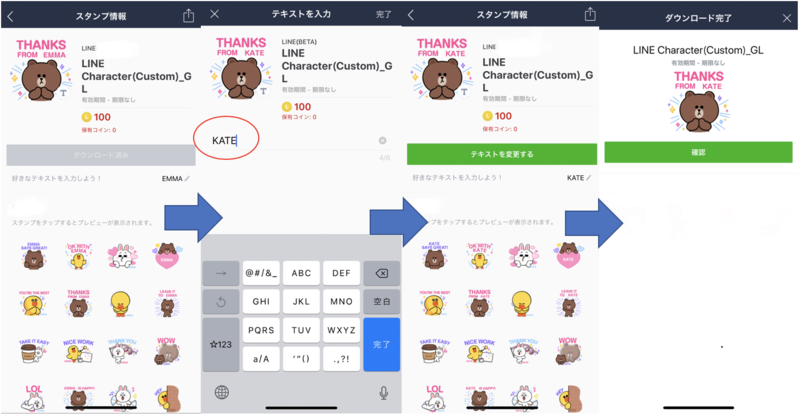 TOKYO – April 11, 2019 – LINE Corporation ("LINE") releases Custom Stickers that allow users to add their names to LINE characters and create personalized stickers as part of LINE stickers, a form of non-verbal and expressive communication offered on the LINE messaging app. 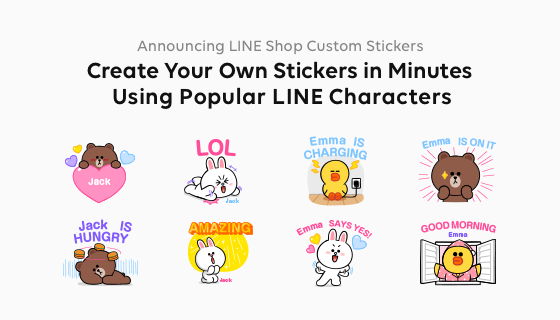 Today, LINE Custom Stickers go on sale, allowing users to personalize and create original stickers. Users simply add names or nicknames to create one of a kind, personalized LINE stickers, where up to four characters—alphabet, katakana, hiragana, or kanji—can be used to customize them. Once a Custom Sticker has been purchased, the user has unlimited access to edit and download the set. Sticker text can be modified and downloaded at any time. Enter your name or nickname and create stickers that are perfect for family and friends. Stickers with your child's name can be sent to mom friends or to daddy. For business use, create stickers with surnames. It is easy to edit Custom Stickers for various occasions.